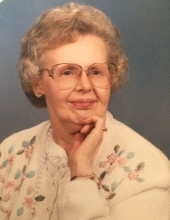 Dorothy Jean Erickson, age 89 years, a resident of Elkins, WV departed this life Tuesday, December 25, 2018 at Valentine Personal Care Home, with her family by her side and under the care of Mountain Hospice. She was born Wednesday, May 15, 1929 at Elkins, WV, a daughter of the late Carl Edwin Erickson, Sr. and Eleanor Lila Lobb Erickson. She had never married. Surviving are two brothers, George H. “Butch” Erickson and wife Diane of Athens, TN and Carl E. “Shorty” Erickson, Jr. and wife Carol of Elkins; one sister, Evelyn Christine Lange of Elkins; and six nieces and nephews, Debbie, Michelle, Steven, Chris, Jeff and Karla; and several cousins. Preceding her in death are two sisters, Carol Edwina Daniels and Joann Brannon. She attended the one room school at Bemis and was a graduate of Elkins High School, having never missed a day of school. She was a graduate of Fairmont State College with a degree in Business. She worked at Citizens National Bank, retiring after thirty- five years of service and was the first woman Vice-President of the bank. She was a member of the First Baptist Church for over fifty years and was also the church’s financial secretary. She enjoyed helping cut the grass and was an avid reader. The family will receive friends at the Lohr & Barb Funeral Home of Elkins on Saturday, December 29, 2018 from Noon until 1 PM. A Graveside Service will then follow at the Maplewood Cemetery at Elkins, WV. The Reverend Joe Wolfe will officiate and interment will follow. To send flowers or a remembrance gift to the family of Dorothy Jean Erickson, please visit our Tribute Store. "Email Address" would like to share the life celebration of Dorothy Jean Erickson. Click on the "link" to go to share a favorite memory or leave a condolence message for the family.